Part one will expound the theoretical basics whilst part two will examine four examples and two versions of this denial: Lysenkoism (where method becomes dogma), conspiracism, the blank slate and the recycling of narratives (Where the dialectical approach is often dispensed with). Part three will deal specifically with the questions of reform or revolution. 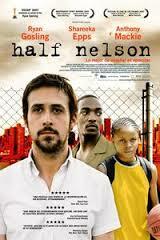 In the film “Half Nelson”, Dan Dunne (Ryan Gosling) is a young urban middle-school teacher who struggles to reconcile his ideals with reality. Dan teaches history at a Brooklyn school, rejecting the standard curriculum in favour of an approach based on dialectics. Dan teaches his students how change works on both a historical and personal scale and how to think for themselves. A term, which I think describes dialectics rather well, would be the evolution of contradictions. It has a double plot in the sense that Dunne is engaging with dialectics in his work but he is also a contradictory character by virtue of his rational libertarian aspirations and his own cocaine addiction. These contradictions evolve in the plot. Another very simple example of a dialectic process would be the case of the homophobic gay theist (such people are not so unusual). His dilemma is that he would like to have homosexual experiences and perhaps does so but his religion dictates that this is wrong. He will usually need to resolve this contradiction in some way and may start from a position of self-loathing, which could be expressed as: “hate the sinner love the sin”. However loving the sin negates his religion and hating the sinner negates himself. This can resolve into “love the sinner, hate the sin” until his sexual urge re-emerges. If his urges are repressed he needs to project his self-loathing onto others as “hate the sinner, hate the sin” (external to himself). A number of history’s most illustrious thinkers have wrestled with the meaning of dialectic and as a result, the concept has permutated considerably since the inception of Western philosophy. Generally speaking dialectic is a mode of thought or a philosophic medium, whereby contradiction becomes a starting point (rather than a dead end) for contemplation. As such dialectic is the medium that helps us comprehend a world that is riddled with paradoxes. Even so, the concept of dialectics remains obscure in the accepted daily vocabulary of political discussion, both in the mass media and even amongst left-wing activists. Gaining a better grasp of dialectical reason can be useful (as I hope to illustrate here) in enabling us to better understand the diversity of political opinion. It can also help identify mythological constructions or the false narratives that are frequently assembled to avoid confronting difficult issues. Furthermore, dialectics can be used to distinguish that which appears as a conscious conspiracy from the actual processes of history, which may contain conspiracy as elements. People do of course conspire but conspiracy itself is part of an underlying drive to deal with contradictions that present themselves to the conspirators. The conspirators in that sense are actors who follow a script. Karl Marx makes the following statement when writing about Louis Bonaparte: “Men make their own history, but they do not make it as they please; they do not make it under self-selected circumstances, but under circumstances existing already, given and transmitted from the past”. This statement tells us that decisions are not made in isolation from knowledge of history or from the social and material conditions of the decision maker. It tells us that history is flowing through the minds of actors on the stage. That they may have certain freedoms in what they do or say but that those freedoms are nevertheless constrained by the reference points of the past and the anchor points of their own material existence. The Greek Philosopher Socrates is attributed with the use of dialectical method in discourse. Socrates left no written record but we get an insight into his thinking from the writings of Plato who documents his method of discussion with the Sophists (a teaching movement in the fifth century BCE). Instead of meeting arguments head-on, for example with: “it’s not so, it’s thus”, he would agree with his opponent whilst pointing out and enquiring into inconsistencies (internal contradictions) in their arguments. The word ‘dialectic’ is derived from the Greek and has two classical connotations. In Plato’s writings dialectic is a highly valued vehicle for truth, closely associated with the Socratic method. In the works of Aristotle, on the other hand, the dialectic is seen as an inferior form of reasoning, it being based on a priori knowledge (see note 1) rather than empirical observation. In modern times, dialectic has been vital within the German philosophical tradition beginning with Kant who takes the Aristotelian position. His definition of dialectic involves illusory knowledge that is reminiscent of sophistry. In other words, dialectic no longer offers rules for executing convincing judgments, but teaches how to detect and uncover judgments that bear a semblance of truth but are in fact illusory. Dialectical analysis is merely a corrective strategy and is of no great value in itself. Dealing with contradictions between reason and experience he said, “dialectic is not the art of producing dogmatically illusion (dogmatic illusion will be dealt with in part two) but a critique of understanding and reason in regard to their hyperphysical use”. What he means by this is that using reason without applying it to experience will only lead to theoretical illusions. Kant’s transcendental idealism consisted in taking a point of view outside of and above oneself (transcendentally) and understanding that the mind directly knows only phenomena or ideas. Whatever exists other than mental phenomena or ideas that appear to the mind, is a thing-in-itself and cannot be directly and immediately known. According to Kant, reason has a structural tendency to move beyond the realm of experience into the unknowable, and in doing so, it commits a series of errors. For Kant this is a characteristic proper to reason, “for senses do not err”. Not because they always judge correctly, but because they do not judge at all. Friedrich Hegel entered the discussion more than two thousand years after Socrates. Greek philosophy had been dormant for much of that time but had re-emerged in the process of the Enlightenment: beginning with Decartes and continued in the work of the German philosopher Emanuel Kant. Importantly he lived in the time period that was marked by the European bourgeois revolution and Hegel (1770-1831) saw this revolution (according to Francis Fukuyama, 1992) as the “end of history”. The general formulation of Hegel’s dialectic is a three-step process comprising the movement from thesis to antithesis into synthesis. One begins with a static, clearly delineated concept (or thesis), then moves to its opposite (or antithesis), which represents any contradictions derived from a consideration of the rigidly defined thesis. The thesis and antithesis are combined and resolved to form the embracing resolution, or synthesis. Hegel was an idealist in an age that preceded the philosophy of materialism and he therefore might understandably conclude that the ideals of ‘liberty, equality and fraternity’ represented the highest possible point of human development (as indeed many modern defenders of capitalism would argue). He lived in a changing world, torn between religious absolutes that had dominated the dark ages and the emerging age of Enlightenment. Contrary to Kant’s view, in his “Critique of Pure Reason”, Hegel considered dialectics as a medium of truth rather than a means to uncover illusion. Above all Hegel’s dialectic was based on his emphatic belief in connectedness or the interrelation of all aspects of the universe. In other words, the apparent self-subsistence of finite things appeared to him as illusion. Nothing he held, is ultimately and completely real except the whole. Indeed dialectic was the cornerstone of his philosophy and he conceptualized systems as diverse as the history of the world and the journey of the human spirit as operating according to dialectical structures. History, according to Hegel, proceeds and evolves in a dialectical manner: the present embodies the rational synthesis of past contradictions. History may thus be seen as an intelligible process (which Hegel referred to as Weltgeist) that is moving towards the rational realization of human freedom. However, considerations about the future were of no interest to Hegel for whom philosophy cannot be prescriptive because it understands only in hindsight. The study of history is thus limited to the framework description of past and present realities. Hence, paradoxically for Hegel, dialectics inevitably lead to the acceptance of the status quo. Hegel’s philosophy served as a justification for Christian theology and the Prussian state. Karl Marx was a student of Hegel but was strongly influenced by the materialist ideas of Ludwig Feuerbach. Marx is said to be responsible for putting Hegelian dialectics ‘back on its feet’. The young Karl Marx once said “philosophers have interpreted the world in various ways, the point however is to change it”. Marx did not have a great passion for philosophy in abstract. Even so, he was able to not just understand his teacher but to take what he learned from Hegel and use it to question (and some say complete) the materialism of Feuerbach. However he left us with an open question as to the extent to which dialectics could be meaningfully applied to the new scientific materialism generally as opposed to the particular case of materialism that directs the human animal in its social world. Marx sought to base human social organization within the context of the material reproduction of their daily lives, which he called ‘sensuous practice’ (Karl Marx theses on Feuerbach). From this material context men and women develop certain ideas about their world thereby leading to the core materialist conception that social-being determines social-consciousness. Marx retains the Hegelian method within this materialist framework but emphasizes the process of historical change arising from contradiction and class struggle. Marx died in 1883 aged 64 and it was left to his close friend and collaborator Frederick Engels to publish and continue his work. Most of what Marx had to say about dialectics can only be derived from his early writings and through his practical application of the methods in Das Kapital. It was Engels who elaborated the materialist version of dialectics especially in “The dialectics of nature” 1883. The ancient dialectics of the “Tao” were perceived as general principles. Socratic dialectics were concerned mainly with human social interactions. For Hegel, material reality disappears in monist idealism (there is one essence and that essence is spirit) but Marx connects the abstract to the concrete. Thus the story turns full circle and in Engels (“The Dialectics of nature”) we return to dialectics as (almost) a theory of everything. The concept of the interpenetration of opposites recurs nearly all the way through Engels’ scientific writings. It appears in two shapes: firstly as the Hegelian idea that nothing can be defined apart from its opposite, i.e. everything implies its opposite (here Engels approached very close to the modern theory of relativity) but also more objectively that there exist no hard and fast lines in nature: Instead there is an aspect of motion in natural processes that is driven by contradictions. Indeed Engels was on to something even before Darwin had published “On the origins of species”. In physics Engels exemplified this principle by the example of magnetism, in which each north pole implies a south pole or vice-versa, or more generally in the balance between attraction and repulsion. Here, Engels’ treatment is surprisingly modern: he understands forces not as mystical entities but to be known only by the movements produced by them. This is characteristic of the modern tendency of turning mechanics into kinematics. In Engels’ analysis, attraction is simply the reflection of the coming together of bodies and repulsion is the manifestation of their separation. Thus heat in the kinetic theory of gases acts as a repulsive force. (The interpenetration of opposites is visually captured in the Taoist medallion that shows a white spot in the black area and a black spot in the white area). Philosophers still cavil at the use of the phrase “transformation of quantity into quality” on the grounds that it is not quantity that changes into quality, because quantity remains in the end. But the phrase is simply a shorthand way of referring to Hegel’s law that purely quantitative changes turn into qualitative changes. It was in this form that Marx understood it, as shown explicitly in his letters to Engels. Engels gives the example of ice turning into water, or water into steam, and that of the change of physical quality of chemical substances with respect to the number of atoms of which it is comprised. With remarkable insight Engels says, ”The so-called constants of physics are for the most part nothing but designations of the nodal points where quantitative addition or withdrawal of motion calls forth a qualitative change in the state of the body in question”. Engels illustrates this process with two famous examples: firstly that of the barley seed negating itself into a plant and secondly the plant further negating itself into many seeds. Also there are the mathematical examples of the product of negative quantities and the solutions provided by differential calculus. These are the kind of statements that until recently made dialectical materialism seem quite unacceptable, indeed incomprehensible to scientists trained along official lines. Negation has always seemed to scientists as something only applicable to human statements but this is just a defect of language. If we had a word to describe how something in the course of its own inner development, can produce something else different and in some sense a thing that is opposite to it, which comes in time to replace it entirely, that word would take the place of negation. Negation in this sense is not a symmetrical operation; the “negation of negation” does not reproduce the original, but something now unlike both. Just as in the case of the transformation of quantity into quality, so the principle of the negation of negation finds many examples in modern science. In almost every physical process in nature, there is a tendency for the process itself to create an opposition which ultimately brings it to a stop(see Le Chatelier’s principle), resulting in the disappearance of the antagonistic process and the re-establishment of the original one. Take for example, the case of the building up of mountain ranges due to strain in the earth’s crust. This in turn results in increased weathering, destroying the mountain range and causing sediment to accumulate, which lead to further crust strains, leading to further mountain building, etc. The first and third of the laws determined by Frederick Engels are closely related. They describe dialectics as encapsulated by the notion that change moves in spirals. The second law in the political frame of reference is important in any discussion that concerns whether socialism can be achieved by gradual means or whether there must be a sudden sharp change. At this period of history: with cuts, hardship and counter-reform on the agenda, the idea that socialism might gradually be reformed into existence now seems remote. However there is a wide body of opinion that considers the current crisis of capitalism to be a temporary one. This position includes the contingency that the process of reform can be restarted once attacks on the poor and disadvantaged have been successfully repelled and the rogue elements of capitalism have been “brought to heel”. I intend to address these questions in my third essay. What I want to concentrate on for the time being is the first and third law and to introduce some arguments that I will expand on in part two. I referred earlier to the differing emphasis put on dialectics by these two philosophers. A similar difference of opinion arises when comparing the ideas of Kant and Hegel. At the core of this dispute is the question of how much we can know with the use of reason (the rationalist approach) and how much we should insist upon observation and other sensory perception (the empiricist approach). I recall asking a question of a chemistry professor and receiving the very frustrating reply that such and such was empirical. I think modern science has come a long way since I asked my question thirty odd years ago. The chemistry professor either could not or would not move beyond the bounds of chemistry and answer my question with physics. Nowadays I would expect the chemist to refer me to the physicist and the physicist to refer me to a mathematician. There would be a deeper possible explanation of reality to ponder beyond appearance and immediate repetition of experiment. Mathematics in the form of differential calculus is remarkably similar to what Hegel describes in the dialectic of ‘nothing’ and ‘being’ (note 3) in the symbols of number rather than words. The frontiers of science now fall back more often than not on the mathematician to theorise on a blackboard with chalk. The results of the mathematician’s elegant equations are tested experimentally but of course not before a suitable experiment can be designed. Experimental design now often lags years behind the theories churned out by the mathematicians. Aristotle now has to wait until he has the tools to show that Plato is wrong or indeed accept that Plato is right. This is absolutely true when we are dealing with people and the societies that people construct. Some important conditions are memory and sensory perception. If a human being has no memory (there are clinical examples of people with no short-term recollection) their rational existence is often circular because they are not able to learn from their experiences. Whole societies and now, perhaps through the internet, the human race as a whole has the ability to record and store information so that the new set of behaviours is less novel in itself and has its own possible histories upon which to draw for guidance. I use the plural deliberately because whenever an idea is shared it is measured and customised by the person receiving it. If a human being is confined in sensory deprivation, they will have no means to acquire new data but their output may vary as they re-examine ideas (they would have little else to do but think). However the spiral nature of the process could be severely blunted in such circumstances. If a whole society were cut off from others there would be less recorded information on which to draw so the potential for change to move in spirals would be impeded. Sensuous practice as understood by Marx, provides the key to resolving a contradiction by testing new solutions. It is input to the world and feedback from it, that re-informs the subject. This enables the cognitive spiral, which generates new concepts based on both memory and sensuous practice to which the subject can refer. However is dialectical reason a universal and is it necessary to apply it generally as Engels attempts to do so in his seminal work? Marx’s materialist dialectic became dialectic materialism in the writings of the Russian Marxist Plekhanov (later abbreviated to Diamat under Stalin). The application of dialectical reason as a necessary part of the approach to all science came under scathing criticism by Jean Paul Sartre in his “Critique of dialectical reason” (published in 1960). Modern physics is full of dialectical contradictions such as wave-particle duality, matter and energy. Even in Freudian psychology the provisional analyses of the mechanism of instinct and its repression are stated in a dialectical form. The whole of modern science is unconsciously affording more and more examples of the aspects of phenomena that can only be consciously grasped through a dialectical approach. Sometimes the evidence of spiral change is weak however and sometimes it’s complex. A pendulum in a clock for example repeats exactly the same motion but in doing so it slices time precisely and the spiral change is to be seen on the clock face. In twelve hours the whole process is repeated but in the progression of the clock from one to twelve a dialectical progression is clear and obvious. Furthermore Hegel’s emphatic belief in connectedness could have no better endorsement than Professor Brian Cox’s recent televised lecture on quantum theory (see “The Quantum Universe” by Brian Cox and Jeff Forshaw 2011). We must not however fall into the trap of thinking that dialectical solutions in the material sciences need to be applied universally. The science that works, the theory that can eventually be tested and repeated must remain the guiding principle. To investigate the world we employ tools some of which are physical tools and some are intellectual tools but I think it would be reasonable to observe that we use different tools for different functions. It is certainly inappropriate to use the examples offered by Engels as an explanation of dialectics as if this was a form of biblical wisdom. This is one way in which scientific socialism can transform into a quasi-religious doctrine (more on that in part two). Given the changes in the philosophy of science in the last quarter of a century, what we may now be seeing is a pendulum swing away from Aristotle towards Plato, therefore away from Kant towards Hegel and Marx. Perhaps now is the time for the significance of dialectical reason to be given more prominence and that the left in general to examine how it can measure up to this challenge. (1) The terms a priori (“from the earlier”) and a posteriori (“from the later”) are used in philosophy (epistemology) to distinguish two types of knowledge, justifications or arguments. A priori knowledge or justification is independent of experience (for example ‘All bachelors are unmarried’); a posteriori knowledge or justification is dependent on experience or empirical evidence (for example ‘Some bachelors are very happy’). (2) Monism is a philosophical term that in its various meanings is opposed to Dualism or Pluralism. Wherever pluralistic philosophy distinguishes a multiplicity of things, Monism denies that the manifoldness is real, and holds that the apparently many are phases, or phenomena, of a one. Wherever dualistic philosophy distinguishes between body and soul, matter and spirit, object and subject, matter and force, the system which denies such a distinction, reduces one term of the antithesis to the other, or merges both in a higher unity, is called Monism. (3) Hegel describes the dialectic of ‘nothing’ and ‘being’ in his “Phenomenology of spirit” at great length. The synthesis of thesis and antithesis in this case is ‘becoming’. Hegel would not be concerned about what might drive this process of becoming since he was not a materialist. Although Marx undoubtedly worked on a precise dialectical solution to the mathematics of motion from zero (nothing) to being (a finite velocity) a satisfactory answer probably had to wait until the development of quantum theory. QT not only justifies the theoretical basis of calculus but also helps to explain the mystery of how this dialectical transformation can possibly begin. This is because on a very small subatomic but finite scale the position and momentum of an object have a combined uncertainty. Werner Heisenberg is credited with saying, “inquiry into the foundations of quantum theory has features reminiscent of Hegelian philosophy”. Great article Joanne, I hope it opens up a discourse on the subject. I look forward to part 2! This article starts very well and I’m going to read it thoroughly before commenting, but if I were the writer I’d dispense with the short ‘Forward’ (sic). I’m not an ignorant man but there are a lot of terms in those short three sentences that are unfamiliar to me. You might put some people off what looks like a potentially interesting article on Marxist philosophy. I’ve just read your interesting article, but I’ll wait until I’ve read all three before I comment. Just one question – can you clarify what you mean by ‘change moves in spirals’? I dont understand the clock example at all. Sorry! Harvey when two people discuss something without making any progress, one of them will often remark “I feel that we are going round in circles”. However the discussion might continue until they both realize that though they seem to be more or less where they started, they are actually both in a new position. That new position results where the opposites have penetrated each other and changed. These new positions are not on the original circle and the once circular process can now be envisaged as a spiral.